An unfortunate DevOps task for any team running App Engine is restoring data from backups. One way to do this is by accessing the Google Cloud Storage URL for a given App Engine backup and importing that backup into BigQuery. This article will show you to get the Cloud Storage URL for an App Engine backup and manually perform that import. 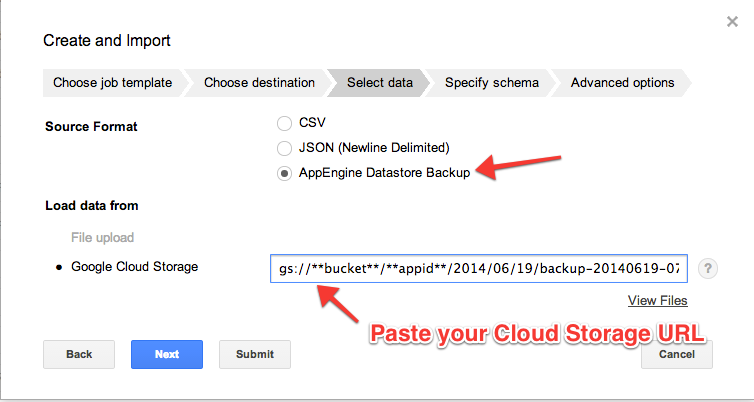 The first thing you need to do is access the cloud storage URL for a given App Engine backup. First, log in to the Google Developer Console and navigate to your backup. The filename of the backup will be a long sequence of characters followed by the name of your model. The file extension will be .backup_info. As an example, this is the filename of backup for an Account model used in one of our projects. Right click on your backup and copy the URL to your clipboard. The URL will be of the form below. The name of your cloud storage bucket and the identifier for you app have been highlighted below. Replace these with appropriate values for your project. 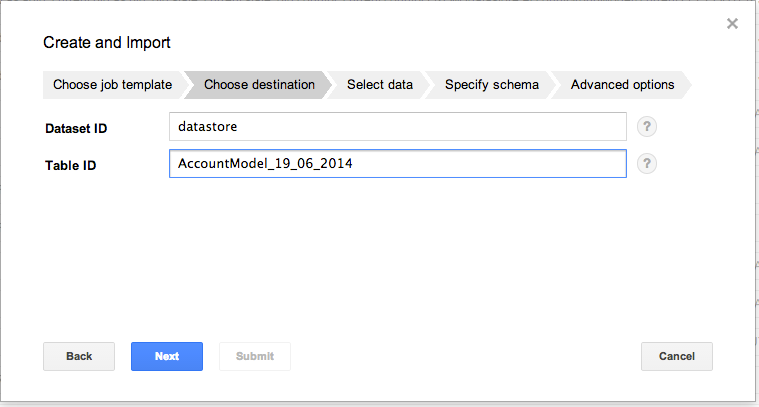 To get the cloud storage URL in the format expected by a BigQuery import remove everything up to the bucket name. Now remove the o between the bucket name and your app identifier. Finally, append gs:// to the file to arrive at your final Google Cloud Storage URL. The next step is to import the backup into BigQuery. To do this, navigate to your project and create a new table in your desired dataset. In the Choose destination tab pick a name for your new table. In my case I’ll name the table with the date of my backup for reference. Next, choose App Engine Datastore Backup as the source format and paste the Cloud Storage URL you arrived at above in the appropriate field. You can choose the defaults for the next tabs and, finally, import your App Engine backup into BigQuery and watch it being fully restored.